The main celebration of the Inti Raymi festival starts on June 24 in the morning in the front of the Qorikancha, the Temple of the Sun, in the city center of Cusco. 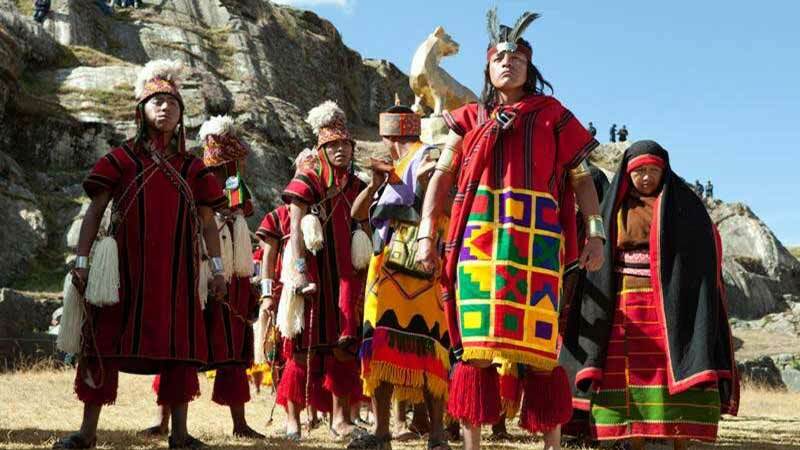 Here the representatives of the four administrative regions of the Inca Empire, all properly dressed in traditional costumes, make their grand entrance. After the Sapa Inca, the ruler of the Inca Empire, opens the festivities, a procession constituting of all participants moves to the Plaza de Armas, the main plaza, where the Sapa Inca prays to the sun god Inti. The procession continues through the streets of Cusco with the Sapa Inca carried on a throne accompanied by music and dancing up to Sacsayhuaman, a huge ancient Inca archaeological site on the outskirts of Cusco. Here the main ceremony of the reenactment takes place. The Inca ruler and high priest pray to the spirits, perform numerous rituals and offer sacrifices to the sun god Inti and Pachamama to thank for the past harvest and ask for a rich harvest in the new year. can be bought at travel agencies and on the website of Intiraymi or Emufec (which often doesn't work). Often hotels have proven to be helpful as well.